Every so often I take a look at the Dates and Anniversaries page on my family website. Today ia a bumper day for birthdays. Among those who celebrate/d their birthdays on January 31 are Clarence George Magick and 8 living persons including my mother and her younger sister. We celebrated my Mum's 88th birthday with a lunch at my home on Saturday where five of her great-grandchildren helped her extinguish the candles on her cake. She had a wonderful day in the company of her nieces, grandchildren, great-grandchildren and families. 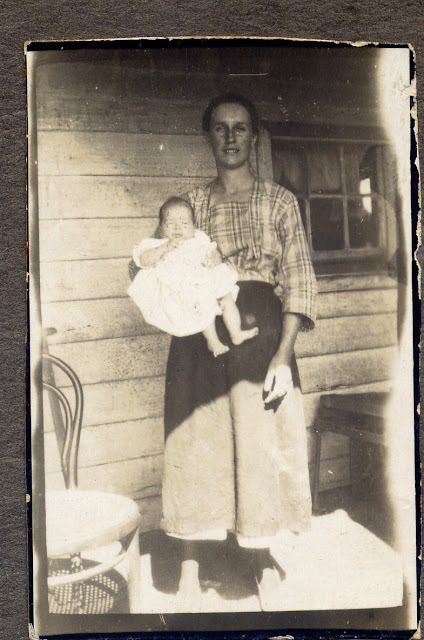 For her birthday I am publishing a photo of Mum and her mother, Ethel Jane Pusell. The earliest photo I have of Mum was taken on the verandah of their new house on Elsinore Station near Cobar NSW in 1923. Try as I do I cannot get Mum to feign an interest in family history, she believes that I should not be trying to dig up family skeletons. Oh, how I wish that I could retrieve some of the family information she has stored away in that head of hers! Less than two weeks ago I blogged about some books written about Google. Within a week of ordering Lisa Louise Cooke's new book, The Genealogist's Google Toolbox, from Lulu it arrived at my home in Sydney, Australia. As it was posted not from the United States but from Melbourne I am surmising that it was printed and bound in Australia. The ordering process was simple and I received email updates on the progress of my order. There are 202 pages in this A4 softcover book. It has a table of contents and index, essential elements in a non-fiction publication. Find it quick - The "How To" Index provides readers with another means of accessing content. The 18 chapters cover a number of the most popular Google applications with a disproportionate coverage of Google Earth. There are only 11 pages devoted to Gmail and over 50 devoted to Google Earth. The articles are clearly written and illustrated with many appropriate screenshots and examples. The pages are uncluttered with plenty of white space. As a confident and competent Google user I did not learn much from this work, this is not a criticism of the book but a comment that the book is not particularly useful to me. The book would be a handy ready reference for genealogists who are unfamiliar with the Google stable of applications. It would also be useful as a workbook in a beginner's How to Google course. Labels: books, Genealogy, Google, Resources, Reviews. The dust has settled after our midweek break for Australia Day. A group of Australian Genealogy bloggers have created a gift for others by taking part in The Australia Day Challenge organised by Shelley from Twigs of Yore. I had a fantastic day sheltering from the heat in air-conditioned comfort and sitting at my computer reading and commenting on the contributions. We are a small nation with a wealth of history and snd a population that can tell a good yaarn. Please take a look at the post in which Shelley has collated all the entries that were contributed to the challenge. My comment on Shelley's blog sums up my thoughts. The power of geneablogging and its collaborative nature has been demonstrated in the success of your Australia Day Challenge that has provided a smorgasbord of some of the best Australian blog posts I have read. The stories they tell tug at one's emotions, give a glimpse into the lives of our ancestors and teach us about Australian documents. Thank you so much, Shelley, for you initial idea and supervision of an activity that is a stellar event on the genealogy calendar in Australia. The FamilySearch January 2011 Bloginar recording is now available online. If you were unable to attend the event on January 18, 2011, you or your subscribers can now listen to and view the free presentation and discussions at FamilySearch Wiki. Go to Wiki.FamilySearch.org, and search FamilySearch Bloginar. "I insist that you shall write whatever comes first, - what you see, what you read, what you hear, what you admire, what you dislike; trifles, bagatelles, nonsense, or, to fill up a corner, e'en put down a laugh at full length" - Robert Burns. Genealogy Bloggers may take note of the words quoted above. January 25th, the anniversary of his birth, is an important date for fans of the great Scottish poet Robert Burns and for Scots around the world. Mr Geniaus' ancestor, William Purves Gowans celebrated Burns anniversary with members of The Scottish Borderers Society in Sydney in 1901. The Sydney Morning Herald of Tuesday 29 January 1901 reports that "Mr William P Gowans sang Burn's birthday song, '* There Was a Lad Born in Kyle," the chorus being taken up with vigour by all the company." Thanks to Shelley from Twigs of Yore for setting this Australia Day Challenge. Shelley will be putting together all the responses to the challenge and posting them on her website. I look forward to some illuminating reading from those with Australian links. Meanwhile I haave been procrastinating about which document from which of my convict ancestors I will share. Should it be something from Elizabeth Phipp's shady past or should I share something from one of her partners James Westbrook or William Magick? I don't know which of these gentlemen is my ancestor as they seemed to fall in and out of favour with Elizabeth. Who was she with when she conceived James Westbrook/Magick my first direct ancestor born in Australia? Because it deals with three of my ancestors I am going to share an English document from 1812. I have earlier documents that tell of Births, Deaths and Marriages but this document is several pages long, quotes actual words spoken by my ancestors and gives information on the lives they led in London that caused them to be transported to Australia. The document I have is a faded photocopy of part of Old Bailey Proceedings, 16th September 1812 in which JAMES WESTBROOK , ELIZABETH PHIPPS , SUSANNAH PHIPPS , and SAMUEL WESTBROOK , were indicted for feloniously breaking and entering the dwelling-house of Joseph Covington , about the hour of eight in the forenoon, on the 1st of April , and stealing therein, eighteen gowns, value 3 l. seven petticoats, value 1 l. six pair of blankets, value 3 l. a feather bed, value 3 l. a bolster, value 5 s. two pillows, value 5 s. a time-piece, value 6 l. a silver cup, value 1 l. and five yards of muslin, value 5 s. the property of Joseph Covington . As there are copyright restrictions on the reproduction of this document I am only pasting a snip. Some time last century, using microform resources at The State Library of New South Wales, I identified my convict ancestors Elizabeth Phipps and James Westbrook. On a trip to the UK in 2004 I spent time at various institutions trying to discover more about them and other ancestors from the Old Country. As part of that visit I visited the stunning National Archives at Kew armed with a list of my forebears and the ships that bore them to Australia. Mr Geniaus and I were quite bewildered during our one day at this august institution but we managed to find a number of treasures including the transcript of the Phipps/Westbrook trial. The highlight of that day was handling the surgeon's journal for the journey my ancestor Patrick Curry made on the Hooghley. Sadly I did not take photographs of the entries that told of Patrick's episodes of scurvy and their treatment. How we managed to find the transcript I cannot remember! Today I can find a digital copy of that same transcript from the comfort of my home by searching The Proceedings of the Old Bailey, 1674-1913 online. The typed transcript is, however, much easier to read, do take a look as it is an interesting story. A reading of the document will tell its story but it told me more than just a story; reading the spoken words of my ancestors from 200 years ago gave me spine tingles. It also gave me more facts and background on my ancestors. 1. I learnt the name of my 4th Great-grandmother, Susannah Phipps (nee Harris) and have been able to find her BDM details. 2. I learnt that James had a brother Samuel Westbrook. 3. Reading Elizabeth's defence tells me that she spoke quite well and coherently. "On the morning that Mrs. Covington left town, she called me down stairs, between six and seven. She said, where is your mother? Why does not she live at home? Mrs. Covington gave me a five-pound note, and two lace caps. I was rather fearful. I would not take them until I went up to Westbrook. I was to deliver them to my mother in Fetter-lane, where she then was. They all deal in stolen property. The things that were moved out of the place were my own." 4. I was able to identify the places of residence of my ancestors in London and have put them on a list to find on my next trip. One such place Woods Buildings (now demolished) was a haunt of Jack the Ripper. 5. I learnt the Elizabeth and James knew each other and were probably living in a common law marriage before they were transported. Another researcher claims they were married and had a child before Elizabeth was transported but the only evidence I can find to support this is from the transcript "The child with them had the key". 6. I surmise that Ann Price was Samuel Westbrook's woman as she gave him an alibi. Elizabeth, James, Susannah and Samuelalso got a mention in The Criminal recorder:or, Biographical sketches of notorious public characters, including murderers, traitors, pirates, mutineers, incendiaries ... and other noted persons who have suffered the sentence of the law for criminal offenses ; embracing a variety of curious and singular cases, anecdotes, &c, Volume 2 (Google eBook). I am fascinated by the life of Elizabeth Phipps and was thrilled when I came across the transcript that told me so much about her and her environment in early 18th century London. Elizabeth, widow of William Magick, died as a respectable married woman in Richmond, NSW on August 8, 1869. Due to the deeds of my ten shifty convict ancestors (and a few who were upright citizens) Australia was ordained as my birth place. As I celebrate Australia Day I will reflect on the courage and determination of past generations who triumphed over a harsh environment. I thank them for their contributions to to our nation and for paving the way for my family to live a charmed life in The Lucky Country. One of the blogs I follow in my RSS is Tracing the Tribe: The Jewish Genealogy Blog of fellow Rootstech Official Blogger, Schelly Talalay Dardashti. Just this week I got talking with a patient at work who told me of his interest in Eastern European Genealogy and his difficulty in locating resources. I don't know if the doc was able to mend this chap's aching spine but he left with a smile on his face. I asked if he had any Jewish ancestry in Eastern Europe and he replied yes - he left clutching a printout of a page from Schelly's blog that I know will give him leads to valuable resources. "In what seems to be a recurring omission, many individual family history blogs do not clearly list the family surnames being researched in the blog introductions. Providing those names upfront might help readers who are also searching the same names." I must concur with Schelly's advice. If you place the names you are researching on your blog template then they will be harvested by search engines and become available for others who are searching those names to find. It's less than a month until I give my first talk at The Society of Genealogists in Sydney on February 19th and in the interim I am trotting off to Salt Lake City for Rootstech. My talk at SAG is entitled Anywhere, Anytime Genealogy : Interviewing family members, storing genealogy data, conducting research and communicating with genealogists can be enhanced with the use of the latest tech gadgets such as smartphones, tablet computers, and digital cameras. In this session Geniaus will discuss how these tools can be applied in the field of genealogy. I have been contacted by Elizabeth Lapointe from the Institute who has asked me to post this item of interest to Australians on my blog. As someone who has been a participant in a course conducted by Kerry Farmer for the Institute I can commend her work. (Toronto January 22, 2011) Louise St. Denis, Managing Director of the National Institute for Genealogical Studies, has just announced the new Australian Records Certificate courses which are now available at <www.genealogicalstudies.com>. The Institute offers courses via distance education, using the Internet. This allows students to study at their own pace, at the time and place convenient for them. Last November, Louise visited many cities in Australia and New Zealand as part of the ‘Unlock the Past’ History and Genealogy Roadshow. At that Roadshow, Louise announced the appointment of Kerry Farmer as Director, Australian Studies, with the company. The first course to be offered is "Australia: Births, Deaths and Marriages", which will start on February 7, 2011. More courses covering the range of Australian records will become available as the year progresses. For those undertaking another certificate program (for example, in English or Irish records), various elective courses will also be available, some covering a broad spectrum of Australian records but in less detail. Any of the courses can also be taken independently. To read a detailed description about a specific course, please go to our website at <www.genealogicalstudies.com>, click on the menu item "COURSES", and click on "COURSES" again. Then click on "ALPHABETICAL LISTING" to make searching through over 60 courses being given in February a little easier! 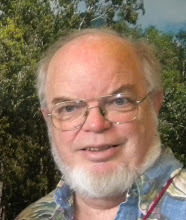 To learn more about our instructors, please go to our site at <www.genealogicalstudies.com>, click on menu item "INSTITUTE", then click on "FACULTY", and click on the instructor's name. If you need more information, please call us toll-free in North America at 1-800-580-0165, or send us a message at <admin@genealogicalstudies.com>. You can enroll in these or other courses by simply going to the Institute's website at <www.genealogicalstudies.com>, choosing the ones which interest you, and registering online. Send Shelley the link to your post and she will prepare a list of all the posts and publish it on Twigs of Yore. Since becoming a Rootstech Official Blogger I have been paying particular attention to the blogs of my fellow Rootstech Official Bloggers. I had already been following most of them in my RSS feeds and my Google alerts highlight pertinent posts in the remainder. One of these bloggers is Amy Coffin who has, via my blog, generously offered to hold my hand as I make my first trip to the Family History Library in Salt Lake City for the conference. So impressed was I by a post on her We Tree Genealogy Blog today and the conversation it prompted in the comments section that I decided to make the blog the subject of a Follow Friday post. Not often does a post make me stop and reflect on my practices but this did. The post is typical of the quality of the conversations on Amy's blog. Amy asked bloggers to put themselves in the shoes of a little old lady who is not too au fait with technology but who wants to comment on a blog post. I am not going to paraphrase Amy's post Genealogy Blogs: A Comment on Comment but urge you to read it and reflect on how you can make it easy for your readers to communicate with you via your blog. I believe that "Blogging is a two-way street". Just this morning I was frustrated when I tried to make a comment on a new Australian Genealogy and History blog, the author has not enabled comments thus ignoring the social nature of blogging. Hopefully, as she becomes more experienced with the blogger platform, she will rectify this. Enough of the rant - please take a look at The We Tree Genealogy Blog - a worthy addition to any genealogist's daily reading program. I have highlighted a number of Australian Family Websites in my Follow Friday series and will continue to do so from time to time but this week I am going to deviate and follow something different - watch out for my next post. For the convenience of those who haven't looked at those websites I have followed here is a list of those posts. Please take a look - you may get some ideas on what to do and what not to do when developing your family website! As I think about what I will need for my trip to Rootstech at Salt Lake City in February I know that I will need my winter woollies. I'll be arriving on February 9th and note that the city's overall record low temperature is −30 °F (−34.4 °C), set on February 9, 1933! (Wikipedia) I hope history doesn't repeat itself. What I really need to know is what paraphernalia I need to pack for my sleuthing at the Family History Library and at the Conference. As I'm not taking Mr Geniaus along to carry the bags I need to ecomomise on luggage. I have been to the library's website and consulted The Family History Library Patron Rules. I know that I can take my laptop and mobile phone on silent, I wonder if I can take a flash drive to save info from the computers and microfilm readers. Am I allowed to use pens or should I take pencils and a sharpener? Am I allowed to take my handbag into the library or are there size restrictions? Can I take stuff in a clear plastic bag? Are there lockers to store my gear? Do I need coins for the lockers if there are any? Is it ok to use my digital camera without the flash? Fellow Rootstech Official Blogger, Lorine, has shared her ten point checklist that is very useful. Like Lorine I am trying to decide "what device I am taking for my files". Should I take my laptop, my netbook or rely on my smartphone? Should I take the plunge and buy an android tablet like the Galaxy Tab? I'll definitely take my new portable hard drive so I can back up as I go. In the comments to this post Amy Coffin mentioned that one needs dimes for the lockers. Lorine and Julie D Grant suggested a Flip-Pal scanner - maybe I should buy one. I am hoping someone out there can proffer some advice - I'm off to check the Family History Library Catalog. I had promised, in an earlier post, to tell you about this morning's event (Sydney time) but why reinvent the wheel? On my train journey this morning after the bloginar I read Amy Coffin's wonderful summary of the event so I am directing you to her post for the content of the bloginar/webinar. As it was my first FamilySearch webinar I got up bright and early to make sure tht my connection worked and it did. Paul Nata from Familysearch, in his email last week, had given instructions on how to test the bloginar site, I downloaded the software that I needed and the site confirmed that I was ready to connect when needed. When I logged on this morning here were around half a dozen others logged in and during the bloginar the numbers went up to 89. Although I was able to watch the bloginar and join in the chat I could not get the audio to work, a problem shared by other users. The solution was to phone in for audio to a 1800 number but that was in the US. Randy Seaver used the chat module to give me another number to try. Scared of racking a hefty phone bill (it's expensive from Aus) I decided to try logging in on a second computer but I was unable to get sund on that either. The content of the slides shown was most interesting especially those about the Rootstech Conference I am attending in three weeks. I look forward to hearing and rewatching the bloginar that is to be posted shortly on The FamilySearch Wiki. I am up with the birds again this morning to take part in a webinar organised by Familysearch. There are presently 87 people on line but there is not much action, If I have my time conversions right it should start in a couple of minutes. The bloginar will tell about "the latest FamilySearch news and will outline FamilySearch’s plans to grow the volume and diversity of online training material for family historians. Included will be a demonstration of the latest training content additions and an in-depth discussion of future plans for research curricula and courses at FamilySearch.org. Participants will be able see the demonstrations on their computers over the Internet and interact with presenters by phone or over a live, e-text and chat forum (see below log-in details)." Looks like it's starting - I will blog more about this later. Somehow, in the busy leadup to Christmas, I missed this video from Google. 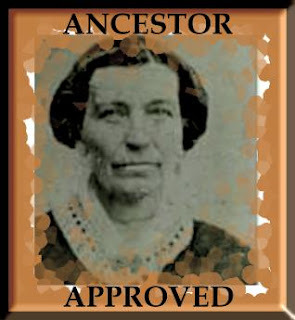 A nice surprise I received over the weekend in a comment on my blog was that I had been nominated for the Ancestor Approved Award by Pauleen from Family history across the seas. This award has been doing the rounds since March, 2010 and has finally made its way to Australia. Thanks, Pauleen, for the nomination and thanks also for nominating some of my favourite blogs from dowununder. I will copy her list here in case some of my readers would like to take a look at some of the fab writing that is produced in Australia. 1. I am regularly suprised by the feedback I get from my family website and the generosity of strangers who share details of their family lines that enlighten me. 2. I have been enlightened by the snippets of information I have found on Trove relating to members of my family. Since reading about my ancestor, Dennis Tierney, in newspaper articles I know more about him. He enjoyed a wager anad a tipple but was an outstanding Catholic citizen who took an active interest in his hometown, Dungog. He was a man of many talents who built The School of Arts, a number of local schools and was an undertaker in the town. 3. I have been enlightened when hearing talks by Dr Perry McIntyre who has an incerdible depth of knowledge about the Irish in Australia in the 19th century. 4. I was surprised to discover that James Ball had been married twice when we found his grave in Rochdale, Lancs. 5. I was humbled when I visited a family home in Ballyfoyle, Kilkenny, Ireland. The two elderly distant cousins in residence gave us a grand welcome and wanted to crack open their best Irish whisky. Sitting in the humble home in which Patrick and Katherine Kealy raised their nine children was a humbling experience. 6. I was excited as I watched my husband and his cousin unwrap a clock made by their ancestor in Scotland over 150 years ago. It had taken us years to find a clock and it was wonderful welcoming it to Australia and into the hands of a descendant of the clockmaker. 7. I have been an inactive member of The Society of Australian Genealogists who has started to attend meetings and talks. I am humbled by the efforts of the many volunteers who support this organization in so many ways. 8. I am surprised to find that the most popular post on my blog has been Australian Vital Records on Ancestry. 9. I am humbled to be one of a stellar lineup of Official Bloggers for the Rootstech Conference. 10. Reading an interview of my ancestor, Patrick Curry, conducted by Caroline Chisholm sent shivers down my spine. It was surprising, humbling and enlightening to see the words spoken by my ancestor transcribed. On whom shall I bestow my nominations? I am tempted to second some of Pauleen's nominations but will refrain. 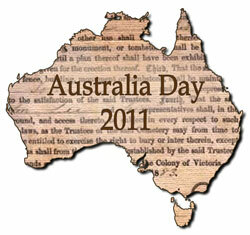 I am nominating some Aussie blogs and some from across the seas that I enjoy or wish to encourage. 1. Genealogy in New South Wales - Carole Riley. I am a Google lover and think that I am a fairly sophisticated user of Google. However, whenever I read an article or attend a lecture about this family of products I always learn something new. My fascination with Google started in the late 1990s when it became my search engine of choice. I have hopped on the bandwagon with many of Google's newer applications as they have been launched. Today I use many, but not all, of the Google Apps. my favourites being Gmail and Picasa. The first Google resource I purchased was Googlepedia: The Ultimate Google Resource (3rd Edition) but, as this was published in 2006, it is now out of date. I loved this book and found it extremely useful when teaching students and teachers about Google products. My next purchase was Google your family tree by Dan Lynch, this book aimed at genealogists was a more basic guide aimed at genealogists. Published in 2008 this book is now a little outdated and is due for a new edition. It is unfortunate that books about technology have a short shelf life. A few days ago I noticed that there was a new book for genealogists on the market. Lisa Louise Cooke in her blog post this morning reminded readers about The Genealogist's Google Toolbox her new book "with all the best free state-of-the-art Internet tools I could find from the folks who dominate the online world: Google." Lisa has chosen to publish her book through Lulu. The book is available in both hard and soft copy (.pdf), I elected to purchase a hard copy at $US24.95, if I find that I want to have this book on my computer I can then purchase the download for $14.95. Postage to Australia will take 3-5 days after the book is "processed". Before I purchased I was able to look at a preview of the book on Lisa's blog. From the images shown I can see it has an impressive Table of Contents, appears to be well formatted and has clear explanatory screenshots. I hope to be able to talk to Lisa Louise Cooke, who is also an Official Rootstech Blogger, at the Rootstech Conference in Salt Lake City. As an opinionated blogger I sometimes give tips to other bloggers, these come, not from a textbook, but are my personal thoughts on what elements may enhance a blog. I also picked up some valuable ideas from Steven Lewis when he gave a seminar at Mosman Library last year. Today educator, Richard Byrne, posted "11 Things you should know about blogging" on his education blog." As I concur with each of these I am posting a summary here. Please go to Richard's blog to read the full article. The list is not just relevant to education but is valuable for genealogy bloggers and bloggers in any field. Hopefully, by highlighting the list here, I will help Richard reach a broader audience and help my fellow geneabloggers. 1. Remember you're writing for an audience. 2. Identify a niche for your blog and write for that niche. 3. Read other blogs, but don't copy another blog. 6. Link to other bloggers. 7. Set up Google Alerts. 9. Choose a nice blog design. 10. Don't stress-out over fluctuations in statistics. 11. You've got to keep on blogging. One of the news alerts I have set up in Google news is for "geniaus". This normally brings back links to tweets, blog posts and my family website. I was surprised today when an alert lead me to a page in The Parramatta Sun. In an article "Heritage link to be lost forever" the journalist refers to one of my blog posts"Amateur genealogy blogger Geniaus wrote recently that she had signed a petition to save the building after she discovered one of her ancestors attended the factory." The article tells of the support for a protest protest against the Sydney West Area Health Service's plans to convert an 1823 Georgian building, part of the Parramatta Female Factory Precinct, into an IT centre. There, in black and white, in the online version of the newspaper was a mention of my blog. It confirms that some people must read my rambles and in addition think that something I have said is worthwhile. I am pleased to be able to play a small part in the move to save this valuable part of our nation's heritage. ...I cannot believe that in just four weeks I will be hopping on a Qantas jet to San Francisco and thence on another plane to Salt Lake City for the Rootstech Conference. It will take me about 20 hours to reach my destination but the rewards at the end of that long journey will make the trip worthwhile. Living in Australia we are a isolated from the giants of the IT and Genealogy world. It is rare for us to have an opportunity to meet and hear a number of experts in one place at one time. We rejoice if just one star makes the trip dowunder. The Rootstech Conference offers an opportunity for attendees to hear a group of greats. The lineup of keynote speakers for Rootstech is amazing. One of those speakers is Shane Robison from Hewlett Packard. I will be attending Shane's keynote and sharing what he has to say via this blog. It is my usual practice to update my family website, Geniaus Family Site, around once a month or more often if I have lots of new information to share. But, what with Christmas and a botched attempt (more on this later) to upgrade my TNG software to v.8, it's been two months since I have updated the site....and there are lots of additions thanks to the generosity of people like Bob, LindyLou and Ron who have given me some clues to further my research on the Barber, Curry, Elms, Phipps,Magick and Westbrook lines. I cannot overestimate the value of sharing my tree on the web - sowing seeds has indeed reaped rich rewards. ...even if you can't attend the Rootstech Conference in Salt Lake City with me you can join in via this free Webinar. The webinar will be on Saturday afternoon, February 12, 2011 in the US but in Sydney, Canberra and Melbourne will be at 7:45 am on Sunday 13 February. Shelley, over at the Twigs of Yore blog has issued an Australia Day challenge/invitation to Australian Bloggers. She is asking that, on our national day, Australian genealogy bloggers write a post in answer to a task she has outlined. I am sure that Shelley would like to see contributions from expats and others who have Australian ancestors. "Geniaus has made the brilliant suggestion that we should collate the posts somewhere. If you join in, please email me (see the About Me page for my email address) with the URL and one short paragraph describing your post. I'll put together a post that collates and links to all the offerings." 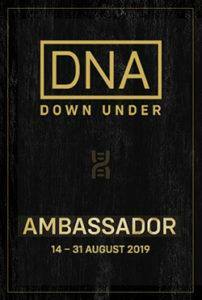 So come on, genealogists, rise to the occasion and celebrate Australia Day in a unique way. I love communicating and teaching about the few things I know but, when faced with a new venue or audience, I get incredibly nervous and the butterfies start multiplying in my intestines. I am excited to be stepping up in the world of genealogy to present two talks at The Society of Australian Genealogists in the first part of the year. I am thrilled to have been put on their program and hope that I do justice to the task at hand. My first gig is on Saturday February 19, the topic is Anywhere Anytime Genealogy , further details can be found here. I will have just returned from the Rootstech Conference in Salt Lake City so hope to be abe to share news of new gear that I discover on that trip. For those who would like to learn more about the application of technology to genealogy Carole Riley is presenting a morning session at SAG Do you Google and Twitter? while I am scheduled for the afternoon. On the morning of March 26 I will be presenting Get ready to Google in which I will endeavour to share ways in which one can produce better results from Google for family history. Bookings can be made via the link on the SAG website. In order to kill off the butterflies I am getting my first presentation together right now. If you missed out on joining the Google webinar with Thomas Macentee about which I blogged yesterday and you can spare an hour then you are lucky. Legacy Family Tree have made the webinar and notes available on their website for you. "Glad it worked out well! We had a great time too. 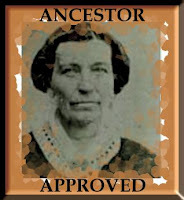 The recorded webinar and its handouts are now available at www.LegacyFamilyTree.com/webinars.asp. Thanks Thomas - great job! By the way, I enjoyed my time in Australia in November on our Legacy Genealogy Cruise." Geoff Rasmussen who made this comment was the facilitator for the webinar. Leaver Genealogy is the family site of one of the members of The Australian Genealogists Group on GenealogyWise. This site is ten years old and appears to make use of the tools that were available at that time. It seems that the author has developed the pages in a web page editor. From tables on the index page he has linked to pages for each of the branches he is researching. On each family line page there is a varying amount of information. Some pages contain quite detailed narratives of various family members while some have pedigrees included. It appears that these pedigrees have been produced in a genealogy software program and pasted onto the various family line programs. I commend Bill for putting his family history on the web over ten years ago and for continually maintaining and updating the data. 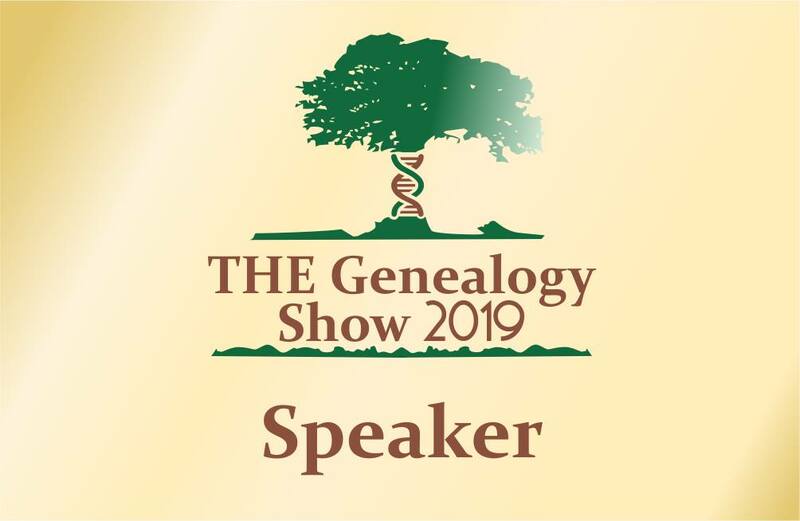 * Three days of lectures from noted genealogists and technologists, opportunities to network with 1,000 people with shared interest, exposure to an exhibition hall brimming with vendors of genealogical products. I have spent my $US99 on the fourth option - an early bird registration to the Rootstech Conference. For further informarion read the information that follows. The $99 Early Bird Registration for RootsTech 2011 in Salt Lake City Ends Soon! · Only $35 for students! SALT LAKE CITY—The $99 early bird registration for the RootsTech 2011 Conference in Salt Lake City, Utah, ends January 15, 2011. 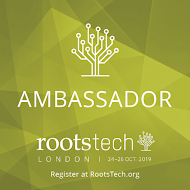 RootsTech is a completely new conference focused on bringing technology creators together with genealogy technology users to learn together and identify solutions to family history research challenges. Genealogists and family historians will discover exciting new research tools while technology creators will learn the latest development techniques from industry leaders and pioneers. The registration fee includes three full days of conference attendance, conference materials, entry to the Clarke Planetarium dinner event, extended access to the Family History Library, admission to the closing reception event, eligibility for prize drawings, and admission to the Community Zone (exhibition hall). Advancing technology is becoming an integral part of the future of genealogical research. Whether a person is new to genealogy or is an experienced researcher, RootsTech is the ideal place to discover the latest family history tools. In addition, technology creators will learn the skills needed to deliver innovative applications and systems, and they will have the opportunity to receive instant feedback from peers and users on their ideas and creations. Keynote speakers at the conference include Shane Robinson, Hewlett Packard chief strategy and technology officer; Brewster Kahle, founder of the Internet Archive and digital librarian; Jay L. Verkler, CEO of FamilySearch International; and Curt Witcher, Historical Genealogy Department manager for Allen County Public Library. I was up at dawn this morning to join 999 other genealogists around the world for The Google for Genealogists webinar hosted by Legacy Family Tree and presented by Thomas MacEntee. Thanks to Geoff Rasmussen and all at Legacy for organising the event. Instructions for accessing the webinar were emailed to me after I registered. I logged on ten minutes early, some software was downloaded to my computer and I was ready for action. The interface was very easy to use. If you have thought aboout joining a webinar but are wary of the setup do give it a try - it'a a piece of cake. Details of future free webinars can be found on the Legacy site. Geoff, who acted as the facilitaor, welcomed the group, conducted a few polls, gave some instructions and then introduced the main attraction, Thomas MacEntee. It was a huge topic that Thomas covered so he was only able to scratch the surface of each Google app that he discussed but he did this with ease switching seamlessly from slides to live demonstrations of various Google features. From time to time Geoff interjected with questions from participants that Thomas answered well. Although I have a good working knowledge of Google I learnt a few new tricks and about one new app to use in genealogy. The main benefit of the webinar for me was that it reinforced and helped me consolidate the knowledge I have about Google, it is so valuable to see everything presented in an organised structure. Thomas advocated the use of Google Scholar and Google Books for finding further information on our families and the places and times in which they lived. I was interested to see look at the templates that one can use from Google Docs for genealogy - I use this application a lot but not for genealogy. I have not used the forms feature in Google Docs, Thomas demonstrated how easy it is to set up surveys using this application. I have been using Survey Monkey but will give Google Docs a whirl when I create my nextonline survey. Thomas reminded us that we can import .pdf documents and images into Google Docs and that they can tbe saved as a text document through their OCR facility. I had forgotten about this feature that is wonderful for genealogists who have old scanned pages of text etc. search over 7 million patents from the US. As I had someone involved in manufacturing in the 19th Century I searched for his patents but had no luck. This, however, is a wonderful place to search for further information on family members. As Thomas was demonstrating some custom Google Maps he had produced I noticed a link to a Geniaus post on his sidebar. Thomas had produced a map "My key to Ireland" from the posts for the 11th Edition of the Carnival of Irish Heritage and Culture: My Key to Ireland. We, in Australia, are a bit isolated from the rest of the world and do not have many opportunities to hear international speakers in person. Being able to access Webinar breaks down the barrier of distance and gives us an opportunity to take part in worthwhile learning experiences. It would be wonderful to see our Australian genealogical societies use Webinars to reach our scattered population. It was certainly worth getting up with the birds to feast on this big worm.. 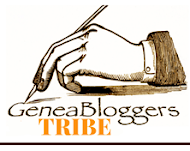 Amateur Aussie genealogist and blogger, Geniaus, is joining some of the genealogy blogging world's heavyweights as an Official Rootstech Blogger. It's very new news so my mugshot has not yet appeared on the site but will in due course. I am thrilled to be in a lineup with these stars. As a midget among giants and the only blogger from the Southern Hemisphere in the Rootstech lineup I hope to bring a different perspective to the many posts that will be sent in the leadup to, during and after the conference. As an Official Blogger I have the opportunity to interview some of the experts who will be at the event. What an awesome opportunity - I hope I can manage to keep my wits together and create some interesting podcasts. I have only ever been to conferences in the US as a partner not as a delegate. I have found them to be huge events with a couple of thousand attendees so different from the more intimate gigs we have downunder. The venue for Rootstech, Salt Palace Convention Center, looks enormous so I am wondering how many people will be joining me in Salt Lake City. You'll be able to read all about it right here. ....said presenter, Linda Bishop at her recent SAG presentation on Online Parish Clerks. Linda exhorted her audience to follow links because they might lead to some treasure. Herein lies a lesson for we bloggers. Some of our readers do not share our experience or the background knowledge we have, our audience is international. It takes a litle effort to supply links from inside your blog posts but it will give your readers potential for a richer experience. It also has the potential to grow your blog's audience as the website owners or bloggers that you link to will see your hyperlinks within their own traffic statistical reports and take a look back at your blog. Thanks to a blog post and tweet from Thomas MacEntee that I read this morning I learnt of a free webinar, Google for Genealogists, being hosted by Legacy Family Trees . As this event is scheduled for 6:00am on Thursday 6th January Sydney time - it is relatively accessible to people in our Eastern States. I think that I am a fairly competent Google user but am always keen to hear what others have to say about the plethora of products under the Google banner and how they can be used effectively for genealogy. I haven't heard Thomas speak, I've only heard him sing, but I gauge from his online presence that he will be an engaging and knowledgeable presenter. Australian genealogist, Shauna Hicks, and I have registered for this event. If you can be up by 5:30 am to get organised why not join us for some pre-dawn personal development? In her New Year post Cheryl Palmer of Heritage Happens recognised those people who had posted comments on her blog during 2010. Cheryl awarded a prize to the person who was her top/most prolific commenter for 2010. As I believe that "Blogging is a two-way street" I would like to recognise my commenters. Alas, I do not have a prize to hand out but I would still like to thank those people who have taken the time to post comments on my blog. Apologies in advance if I miss someone. I am thrilled that 5 out of 6 of my top commenters are from Australia. My top commenter Shelley lamented in her recent 2011 genealogy goals post "My current level of giving back is minimal. I have tried in the past to participate in indexing projects but have had great difficulty getting pages back within the allotted time. I find getting out of the house difficult while I have little children which rules out more possibilities. I would like to find some way of making a contribution. Text corrections on Trove are looking like a possibility, but I will remain open to other ways of making a contribution.". Don't be so hard on yourself - you have made a fantastic contribution to my blog. Carole Riley in a recent comment on this blog said of commenting on blogs "I agree, it's always a bit of a thrill when someone leaves a comment, but it is all too easy to just consume and move one. I too will make a commitment to comment more often." Thank you Carole and Shelley - you are stars at commenting and sharing. Feedback is a vital part of the communication process - I sincerely thank all in the following list who have made the effort to post a comment on my blog.